I’m so excited! Again, still working on a few last edits of my upcoming novel, Journey to Landaran to begin sending out copies to beta readers. And I’m pleased to announce that I now have a map of the land where all the action takes place! The Spirit Mage Saga will have five books total and there is a great deal of travel with several different countries and civilizations visited. so I knew I would need well drawn maps for my readers. I drew the original ones myself to help me write the books. 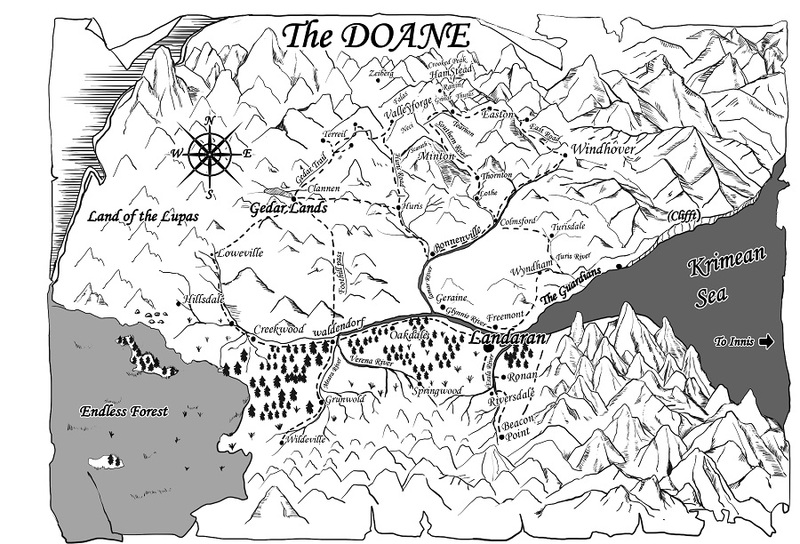 Now, thanks to my artist in Thailand, I have a gorgeous map of the Doane. This entry was posted in publishing, Writing and tagged fantasy, Journey to Landaran. Bookmark the permalink. Your map turned out great! Congrats! Yeah–it took a few rounds to get all the names right, especially with language differences.. But he did a great job!